As far as kids bed pillows are concerned, there is great disparity in opinion as to which is the right age for children to sleep on pillows. Most health professionals are differ in opinion. However, if the pillows are soft enough to offer very little support to the head and neck, then three years and above is quite an ideal age to start using pillows. Children under three years of age are best left without pillows. 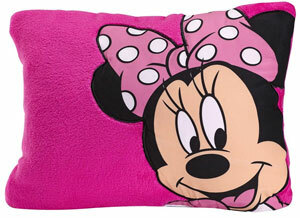 Today you can find a variety of Kids Bed Pillows both in retail stores as well as in online shops. They come in attractive designs, colors, shapes and sizes. There are pillows available for different age groups such as between three and four, between four and five, above five, above seven and so on. One of the major aspects that determine whether the pillow you buy for your child is good or not is the distribution of weight. The weight must be evenly distributed between the head and the neck as this will ensure the right alignment of spine which is highly essential while sleeping. The head must be cradled and the neck must be supported as well as aligned to the natural curvature of the spine. There are various other aspects you need to look into as you select your kids bed pillows. It is vital checking the gap between the base of your child’s neck and the shoulder blade. Notice the extent to which the shoulder of your kid sinks into the mattress before choosing the pillow on this basis. It is important also to keep in mind the preferred sleeping position of your kid. In order to effectively maintain the natural alignment, the cavity between the base of the neck and the shoulder blade must be filled up, which has to be calculated perfectly before purchasing kid’s bed pillows. It is highly recommended choosing a contoured pillow to ensure natural alignment of your child’s spine while sleeping. Contoured pillows cradle the head and offer enough support for your child’s neck. 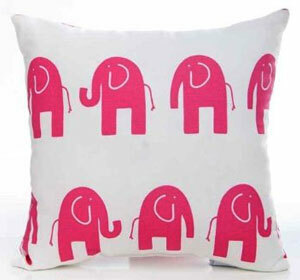 A number of companies market pillows for kids. You can browse online to locate the best pillow based on your specific preferences. Certain companies offer a range of different pillows keeping in mind the age of the child. For instance, Junior Kids Pillows are available in a riot of colors and designs for kids aged seven years and above, Tranquillow children’s pillows are available for children aged between three and seven and contoured pillows made of natural low latex for five years and above. For children above a certain age, Sleep Away Pillows made in memory foam is offered by many companies. Almost all these are designed by major pillow manufacturers in consultation with health professionals such as osteopaths, chiropractors and physiotherapists. Bed pillows designed for kids are preferred by many. Most of the parents feel that a child who sleeps comfortably through the night gets up fresh in the morning. Wrong pillows can cause stiff neck and ruin their entire day. Choose the right kids bed pillows and provide your children with a comfortable night’s sleep.